NORTH PORT, FL.....NOT FOR RENT! Here it is - THE ONE you've been waiting for! So many updates in this immaculate 3 bedroom, 2 bath, 2 car garage, split plan pool home! **2016 heated inground saltwater pool with Travertine stone deck, spa, custom fountains**, **vinyl privacy fenced backyard**, **storage shed**, **rain gutters added all around**, **hurricane shutters added**, **new granite counters in kitchen**, **new high end black stainless appliances in kitchen**, **new kitchen backsplash**, **landscaping**, **irrigation system** There is also a family room AND this home is super clean and well maintained! This one will wrap its' arms around you the minute you walk in the door and you will not want to leave. 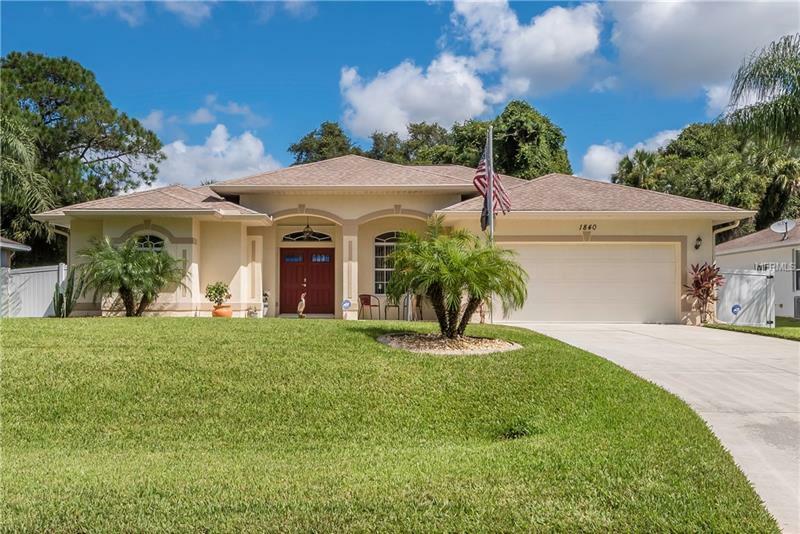 You can truly enjoy the Florida lifestyle in this home for years to come. Don't let it get away! Copyright © 2019 Mid Florida MLS. All rights reserved. The data relating to real estate for sale on this web site comes in part from the Internet Data Exchange Program of Mid Florida MLS. Information provided is for consumer's personal, non-commercial use and may not be used for any purpose other than to identify prospective properties consumers may be interested in purchasing. participates in the MFRMLS Internet Data Exchange (IDX) program, allowing display of other MFRMLS broker's listings on this site. However may not include all listings currently available. Information is deemed reliable but not guaranteed. Information last updated at 2019-04-20 19:35:01.